Configure your iHealth devices on the iHealth MyVitals app and take control of your health. iHealth MyVitals gives you access to your history whenever you need it, as well as to easy-to-understand graphs so that you can get to know your body better. Configure your iHealth devices on the iHealth MyVitals app and take control of your health. iHealth MyVitals gives you access to your history whenever you need it, as well as to easy-to-understand graphs so that you can get to know your body better. The app provides instant access to your measurements and allows you to track where you are against the goals that you have set, as well as against the WHO (World Health Organisation) recommendations. You can also add personal notes to indicate a specific context, mood or medication. Securely share your health data with your doctors or family and friends. The app can be used by multiple users and also allows you to create several profiles at the same time. iHealth MyVitals is compatible with iHealth connected blood pressure monitors, scales, pulse oximeters and fitness trackers. 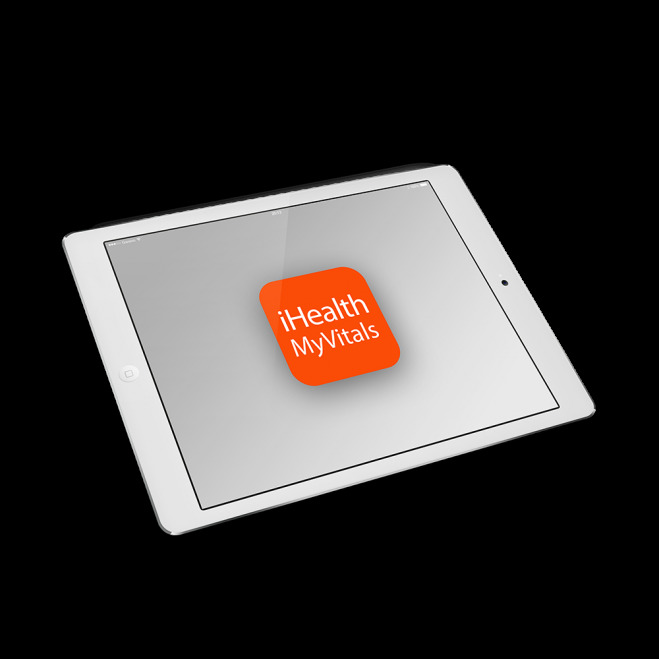 Synchronise your data with the iHealth MyVitals app.